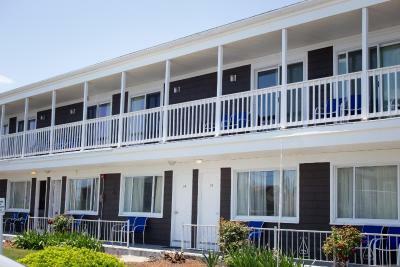 Lock in a great price for Ocean Rose Inn – rated 8.4 by recent guests! The room was very clean and decorated very nicely. The bed was extra comfortable. 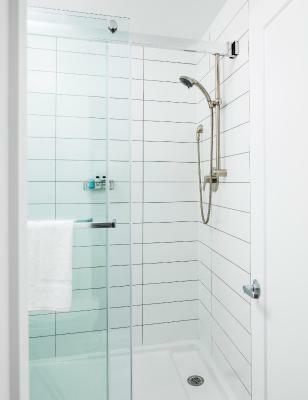 The newly installed shower was the only thing in the room that was adequate. Very clean and large room. Right across from the bay. Could see the bay from the room. Bed was very comfortable. Adorable retro decor. Room View and location to boardwalk were great. Parking was easy in their parking lot. 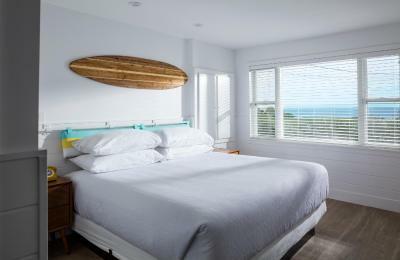 My room was adorable with the surf theme. I got an Oceanside king. They had makeup wipes and outdoor seating was great. The room is very clean and retro, no carpets which is great ! 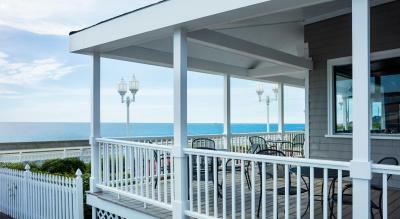 Main building has a beautiful porch that overlooks the ocean. Balcony was nice, cooling system ok, room was airy with good light and area was quiet. Location location location. The staff was very polite and courteous, the bar was quite and relaxing, just a most enjoyable place to stay. The location, charm, and view of the room were wonderful. Parking was easy, and there was easy access to local restaurants. Loved the decor, staff, and the ocean view. Close to some very nice restaurants. Ocean Rose Inn This rating is a reflection of how the property compares to the industry standard when it comes to price, facilities and services available. It's based on a self-evaluation by the property. Use this rating to help choose your stay! 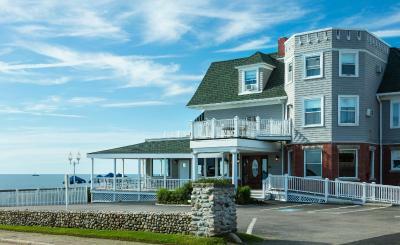 Overlooking Newport Harbor, Narragansett Bay, and Jamestown Island, Ocean Rose Inn features uniquely decorated rooms. Close to the beach, fishing, and biking of Narragansett provides guests with knowledgeable staff to help with area activities. The on-site restaurant is located on the first floor and offers seafood specialties and Italian cuisine. A wrap-around veranda with rocking chairs is offered for guests who are dining. During the summer season the restaurant is open for lunch and dinner. Narragansett Beach is 2.5 miles from the Ocean Rose Inn. Newport is 30 minutes’ drive and the Block Island Ferry is 6 miles away. 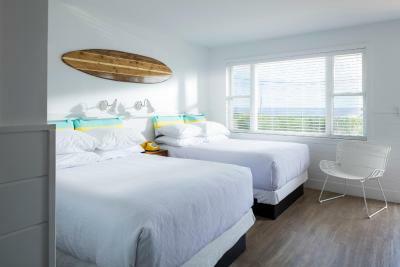 When would you like to stay at Ocean Rose Inn? 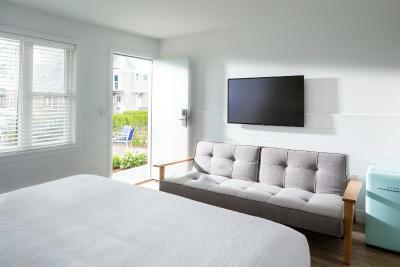 A flat-screen cable TV and a private bathroom are featured in this room. 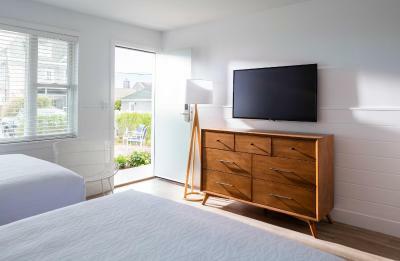 House Rules Ocean Rose Inn takes special requests – add in the next step! Ocean Rose Inn accepts these cards and reserves the right to temporarily hold an amount prior to arrival. This is minor, but if we were to stay longer, the lack of a dresser would be an issue for me. 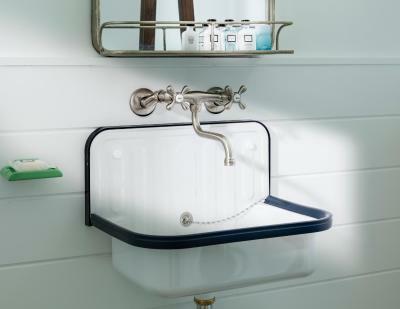 The bathroom sink was difficult to use without splashing everywhere because the faucet extended to near the edge. Room was small with one small dresser and a cheap plastic chair. Bare wooden floors and an old cigarette still on the floor from the last occupant! Bathroom area was appalling; a tiny sink ill-placed that allowed water to splash all over the floor. No counter surface for any toiletries. A bright light at front of room outside and another light from window in back kept the room well lit all night. Staff were located in seperate building and unhelpful. Exterior lighting was too bright during sleep hours. Also, the other guests were very loud on the property at midnight. Bed was very squeaky every time you move even a little bit. Temprerature hard to control. No coffee. it rained! Nothing with the property. had tea/ coffee making facilities. lovely view. lovely decor in room. close to amenities. Size and location of room including view. Lack of continental breakfast. Floor wasnt swept well when I arrived and there was an eye dropper left in the bathroom from the previous tenant be could have been easily missed just made me think they didn't wipe down that counter. Nothing to complain about ! The bathroom wasn't as clean as it should have been. There was hair in the shower & on the floor. Dust & hair in corners of bathroom & floor was dirty. Bathroom floor should be completely cleaned between guests. Also, floor in bedroom was gritty. The sink was much too small & faucet way too big, which made washing face or brushing teeth difficult. The towels were terribly scratchy. There were no mirrors except over the sink so it was hard for 2 people to get ready at the same time. A full length mirror is necessary. The sink space was very tight. The updated rooms, outside grounds and location.